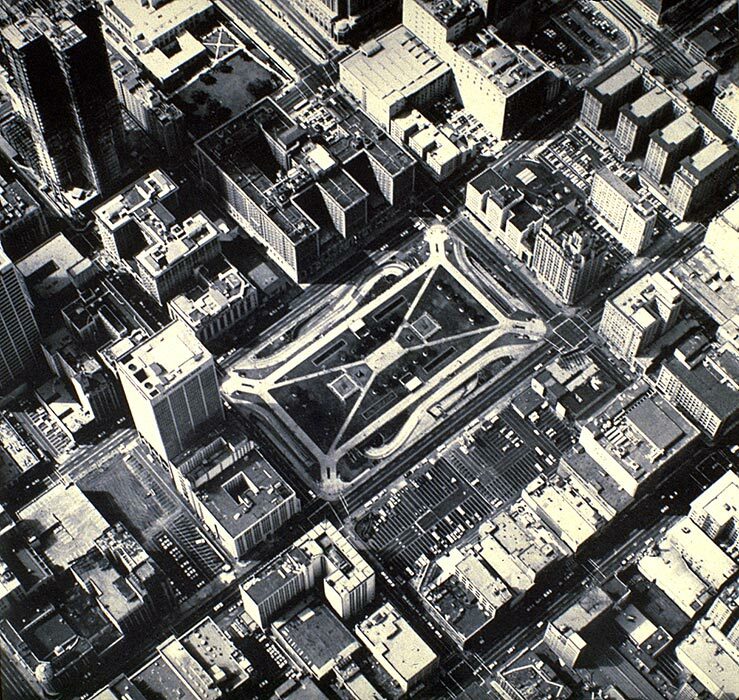 This project, for the redevelopment of what was then the derelict urban park of Pershing Square in Downtown Los Angeles, was one of Bone/Levine Architects first competition successes and marked the beginning of a commitment to projects that addressed environment and landscape in the context of architecture. 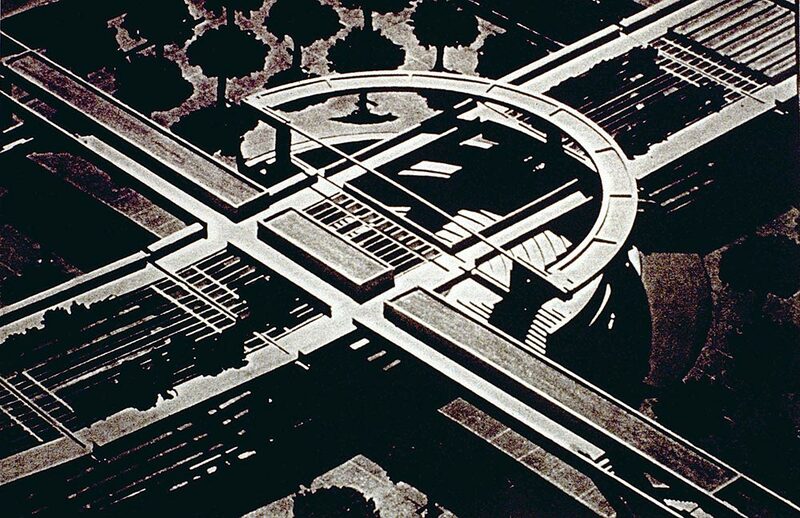 The project, produced in 1986, was selected as one of five finalists from a field of three hundred entries. 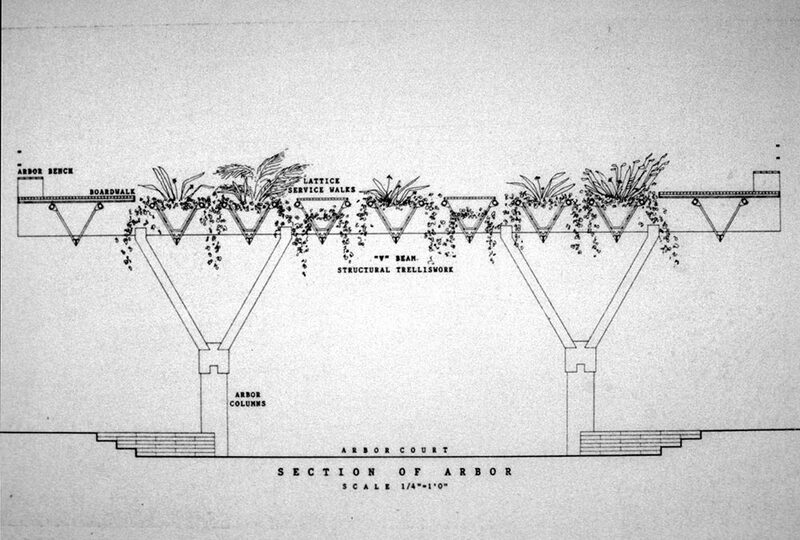 The architectural scheme called for an urban scaled, walkable, landscaped, botanical garden and arbor structure. 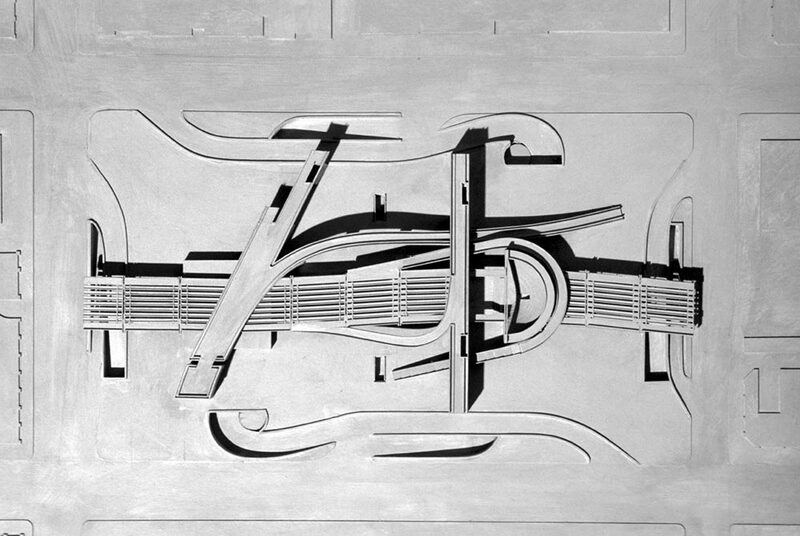 The forms, inspired by the vernacular architecture and fluid geometry of the L.A. freeway system, provided shade and spatial definition to the hard surfaced park - which was also the roof of an underground parking structure. The project was developed to include long span “V” beams that would hold soil and the botanical exhibits that provided the shade. Partnering with the Los Angeles office of Ove Arup Associates, Bone/Levine Architects prepared the second phase submission and further developed elements such as the amphitheatre and exhibition hall. 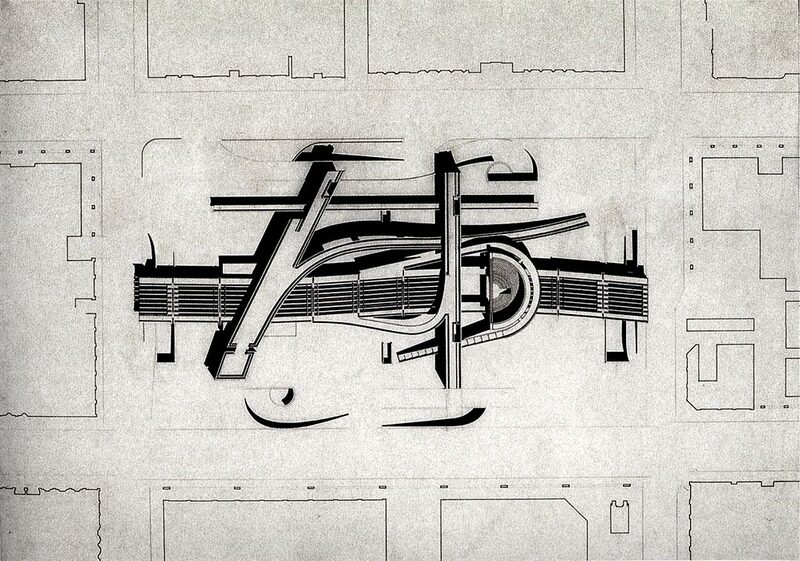 The drawings for the project were later acquired by the Avery Library at Columbia University and are included in the publication, Contemporary Architectural Drawings published by Pomegranate Artbooks, 1991. The final stage of the competition was won by James Wines – but never executed.